Turntables are the newest solution supporting the internal logistics. It is used to transfer (buffer) cargo in containers on the production section. Turntable is fixed to the ground with specially designed rotating feet which allows to rotate for 180 degrees. The use of turntables opens up the new opportunities for manufacturing plant such as organizing the production line according to the FIFO or implementation of sequence assembly. Turntables designed by Wamech are not use pneumatics, hydraulics or electric powered. System functions basing only on mechanical solutions. That gives you great reliability, no need of certification and also no power use costs! The use of turntable allow to shorten the time needed to exchange the empty container to a full one. Also it ensures the safety of container delivery to the production section. 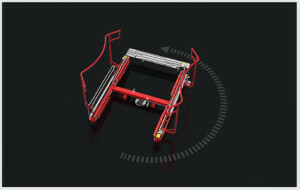 Optimisation of material handling – thanks to use of turntables it is possible to better manage the time of deliveries of components/materials for specific production sections. Safe loading/unloading – turtable allows to deliver the container right at production section without the need of getting to close to it. 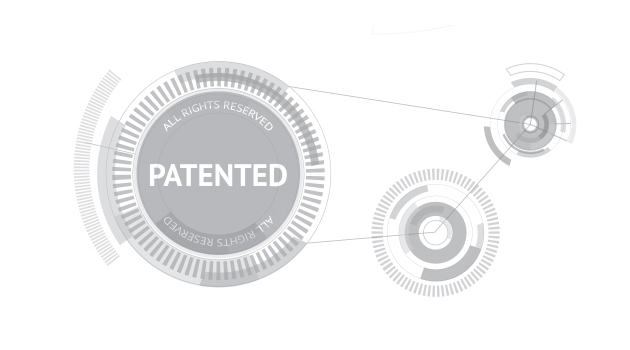 Mechanical solutions which we have invented are subject of patent rights.